The Spring Quarterly Meeting of CHPS will be Thursday, March 21 at the Lundy Law Office, the former Federal Post Office and Court House, at the corner of Broad and Hodges Street in Lake Charles. Doors will open at 6 PM for tours of the office building which was also the working location of Sowela Technical School after its tour of duty as a federal building. 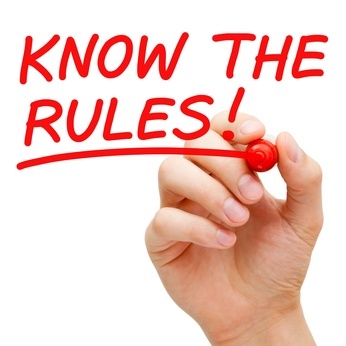 The topic of the meeting is "Professional Offices in ReVitalized Older Buildings" and will feature a panel discussion at 7 pm of professionals who maintain offices in older structures. Learn about the challenges and joys of adaptive reuse from folks who "Work in Landmarks!" The deadline to purchase tickets on-line for this year's "Windows on the Water" tour is Saturday, March 23rd at 5:00 PM. Tickets are $10.00 if purchased by the deadline. If you purchase your ticket on-line, bring your receipt to the "Will Call" desk anytime after 12:45 on the day of the tour. The "will call" desk will be located on the front porch of 823 Shell Beach Drive. Your receipt will be exchanged for a ticket. The tour begins at 1:00. Ttickets can be purchased the day of the tour, Sunday, March 24th, for $15.00 at any of the homes on the tour. Tickets for the brunch must be purchased directly at 121 Artisan Bistro at 121 Dr. Michael DeBakey Drive. 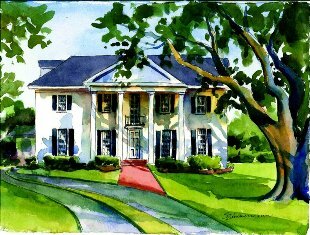 Lake Charles, La.—The Calcasieu Historical Preservation Society announces its 38th Annual Palm Sunday Tour of Homes for March 24, 2013. Themed "Windows on the Water" the Tour will feature five distinctive homes with breathtaking lakeshore views on prestigious Shell Beach Drive. The Tour is set for 1 to 5 p.m. on that Sunday afternoon. A separate Traditional Sunday Brunch will be available by reservation with 121 Artisan Bistro (located at the gates of the historic Margaret Place Historic District) between 10:30 a.m. and 2:30 p.m.
"The houses on tour display a variety of architectural design and exquisite interiors, and each offers a glimpse of contemporary living in historic properties. 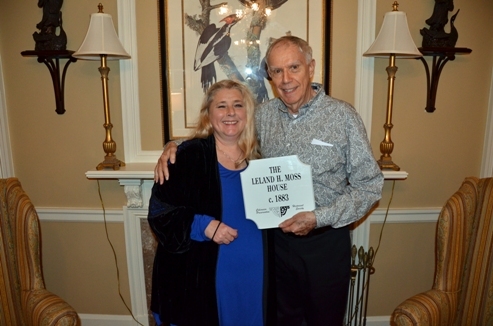 The annual Tour of Homes is a much anticipated community event and design resource," said Donna Richard, 2013 Tour chair. "The Tour will also offer patrons a souvenir program with historic images and information about the Shell Beach area." 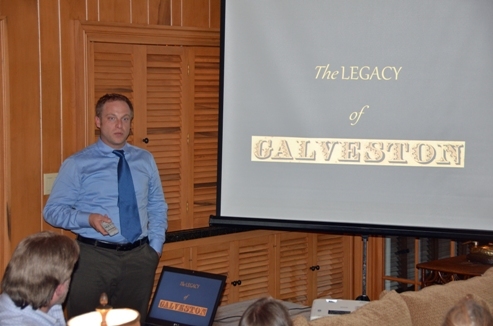 Guests at this year's annual meeting were treated to a presentation by Dwayne Jones, executive director of the Galveston Historical Foundation. The meeting was held at 205 Shell Beach Drive, a Landmark property owned by Willie Mount. As is the CHPS tradition, the "Eleven Most Endanged" were announced and awards presented. This slideshow features photos of both. In addition, attendees learned details about this year's Palm Sunday Tour of Homes, "Windows on the Water"
from the 38th Annual Palm Sunday Tour Chair, Donna Richard. This year's tour will consist of homes along historic and prestigious Shell Beach Drive. CHPS welcomed The Leland H. Moss House to the distinguised list of homes on our Landmark Registry as well as the Charleston Hotel. The Annual Meeting of the Calcasieu Historical Preservation Society will be held Thursday, January 24th, at the Landmark home of Willie Mount, 205 Shell Beach Drive in Lake Charles. Social to begin at 6:30, Program to begin at 7:00. Exciting details about the 38th Annual Palm Sunday Tour of Homes "Windows on the Water" by Tour Chair Donna Richard. The Landmarks Inductees by A C Bourdier. The Eleven Most Endangered candidates, and short reports on projects and programs of your CHPS for 2012 including the 37th Annual Palm Sunday Tour in Historic Margaret Place and Gerstner Field marker project. Speaker on tap is Dwayne Jones, executive director of the Galveston Historical Foundation. Hearty congratulations to Theresa and Jim Barnatt of Margaret Place for the excellent and informative five-page color-image story in the January 2013 issue of OLD HOUSE JOURNAL, a premier national restoration magazine. The article by Deborah Burst with images by Andy Olenick focused on the trials, tribulations, and triumphs of restoring "La Maison Rouge". The magazine coverage was a happy result of the successful 2012 Palm Sunday Tour of Homes project of the Margaret Place Historical District Association, CHPS, and the Lake Charles-Southwest Louisiana Convention and Visitors Bureau (CVB). The 38th Annual Palm Sunday Tour of Homes will be themed “Windows on the Water” with 5 gracious homeowners sharing their gardens and interiors on Palm Sunday, March 24, 2013. 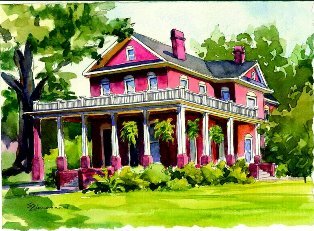 All of the historic homes on tour feature beautiful lakeshore views along prestigious Shell Beach Drive in Lake Charles. Historically Shell Beach Drive was part of the Old Spanish Trail (also known as historic U. S. Highway 90) that crossed the continent and connected the Old South with the Pacific. Homes along this beautiful shoreline will display a variety of distinctive exterior design styles, lush sub-tropical gardens, and exquisite interiors. Much more information about sites, details, and times to come on the CHPS website as the Tour preparations proceed! Preceding the Tour on Sunday will be the Palm Sunday Tour Brunch (separate admission) at 121 Artisan Bistro at 121 Doctor Michael Debakey Drive in Lake Charles. A separate website has been created to display the numerous photos which captured the flavor of the 2012 event. Also, several "albums" have been posted on Facebook on both the Calcasieu Historical Preservation Society page and the Margaret Place Historical District page. CHPS wants to once again say "Thank You" to the homeowners, docents, volunteers and the Margaret Place Historical District for what turned out to me a memory-making weekend! Be sure to enjoy this news coverage by KPLC. 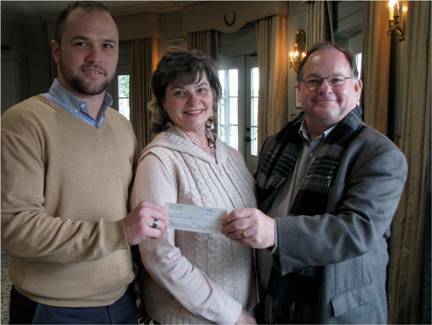 The Palm Sunday Tour of Homes is sponsored by the Calcasieu Historical Preservation Society. This year, CHPS joined forces with the Margaret Place Historical District to celebrate the 100th Anniversary of Margaret Place. The City of Lake Charles designated Margaret Place a historical district in the mid 90's. Margaret Place is located between Dr. Michael DeBakey Drive and the Lake, and Pithon and Griffith Coulees. The joint venture between the Calcasieu Historical Preservation Society (CHPS) and the Margaret Place Historical District (MPHD) went beyond delivering a Tour of Homes. Our premise was, and is, simple; use the CHPS tour as a goal for a historic area (or a sub-set of a historic area) to come together to improve and showcase the homes and characteristics of that area. While the 2013 tour will benefit from systems put in place this year, the grander achievement is that MPHD came together to accomplish signficant achievements and goals.